We offer more than 250 exclusive products to keep your home dry. If you have a subsoil basement you should be concerned about basement waterproofing. Besides the obvious inconvenience of a wet or leaky basement, there are numerous hidden problems associated with the additional moisture, dampness, and mold, including health issues and extra expenses, of living above a damp, wet basement. Create excessive mold and mildew. Trap musty air in basements travels to upper living areas. 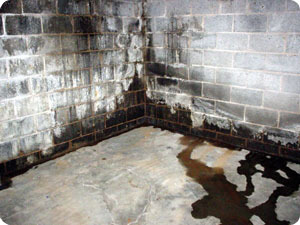 Waterproofing your basement should begin with a thorough look around your home. Look for areas where water collects around your foundation. Fill low areas so water flows away from your foundation. Check gutters for debris and downspouts should extend at least 8 feet from the house. Service walks that settled and slope back to the house should be adjusted to flow away from your foundation. Our waterproofing repair service area includes but it's not limited to Warren, Sterling Heights, Ann Arbor, Clinton Twp, Dearborn, Troy, Farmington Hills, Canton, Southfield, Detroit and up to Bay City, Cheboygan, Alpena and the surrounding areas. Foundation Systems has put together the best technologies to stop your basement from leaking, and to give you back a little peace of mind regarding water in your basement. We specialize in providing high quality basement waterproofing solutions at a great price. Our waterproofing contractors will not only install your systems quickly and correctly the first time, but they will also go over every detail with you so you feel comfortable and confident with your choice for a dry basement. A healthier home for you and your family. A warmer basement in the winter. A more attractive and comfortable home. Sometimes the usable space in your basement can be doubled once complete.